Posted in: Cool Stuff, Engine Shop. 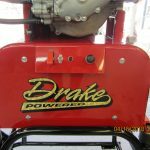 Tagged: Drake Engine, run-stand. 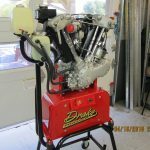 We did one final run-stand test before our customer picked up his Drake motor. 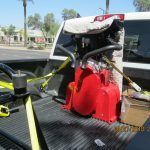 What made this run so special was the custom run-stand that was built by Highway Choppers specifically for this motor. The customer plans to display it in his Harley Davidson dealership showroom in Pennsylvania. This was a fun project for us and we are pleased that the customer was happy with it. 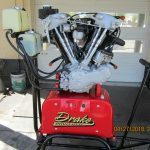 To read more about this Drake motor click here and here.